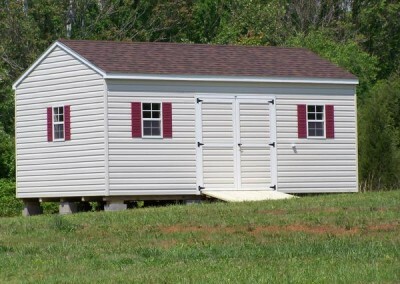 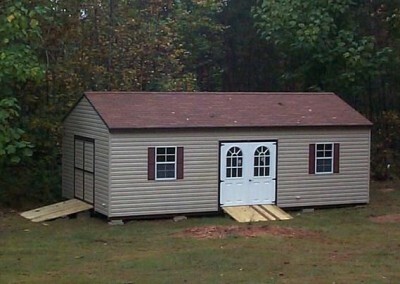 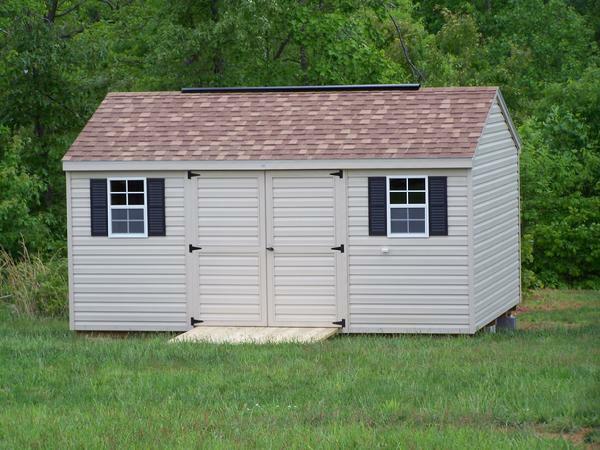 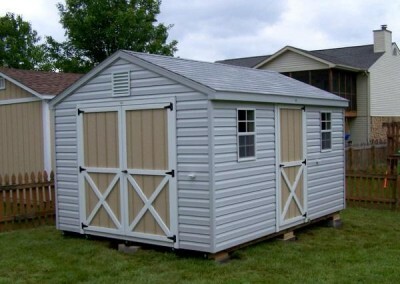 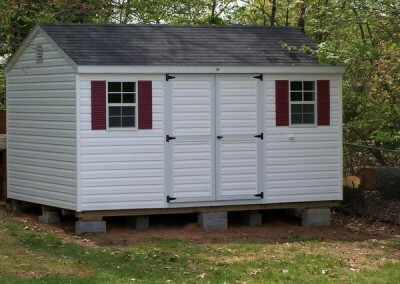 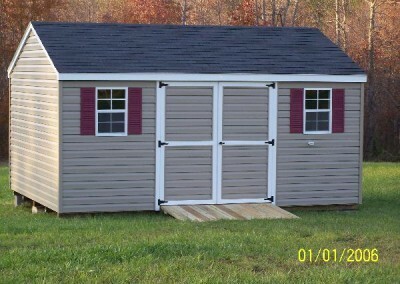 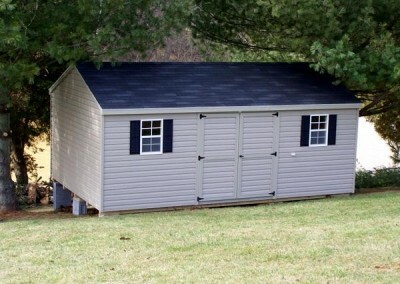 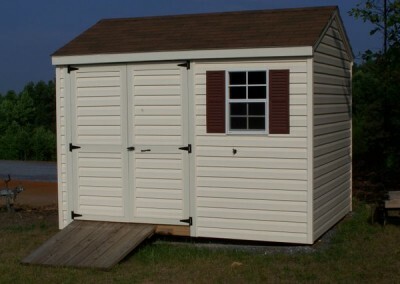 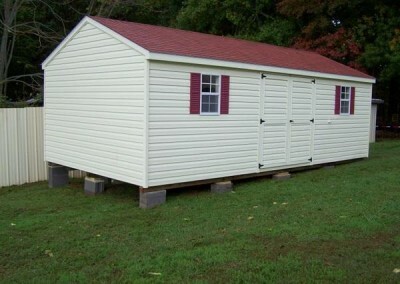 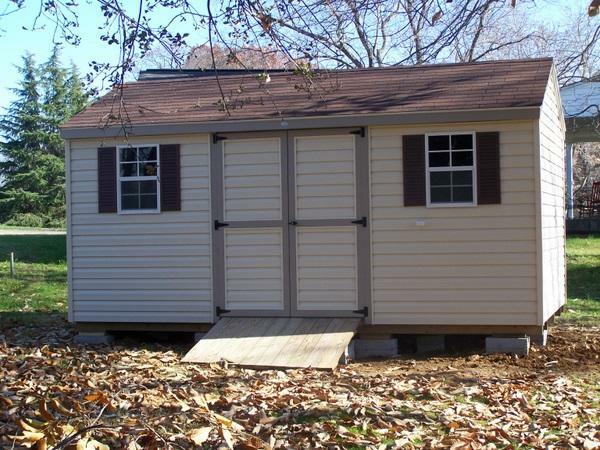 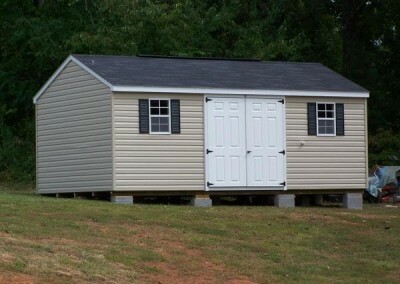 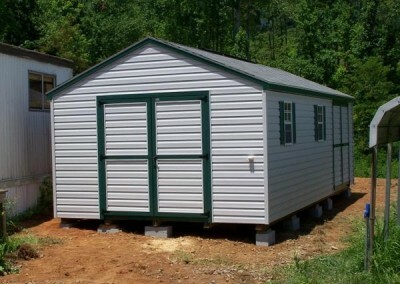 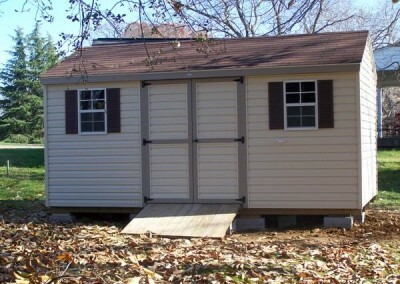 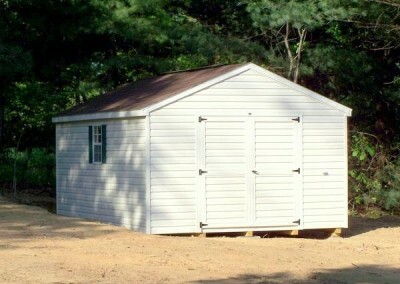 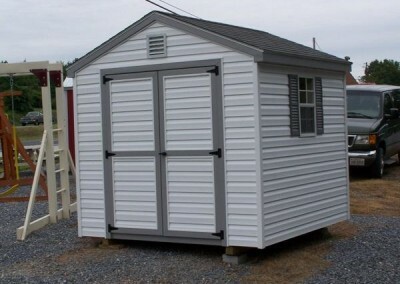 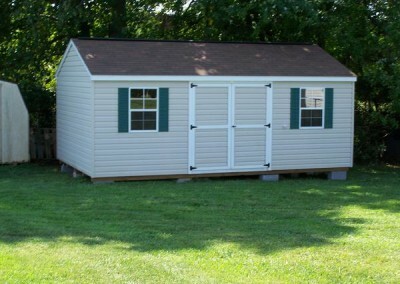 A vinyl shed with 2 windows and a set of double doors. 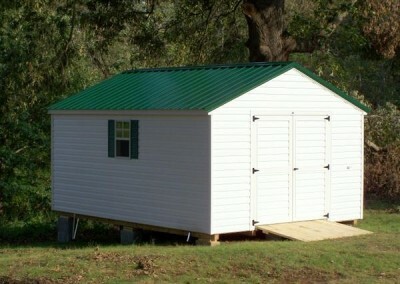 The roof is an a-roof style and is shingled. 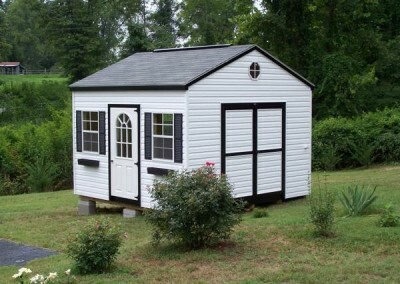 The shed has two windows and two shutters. 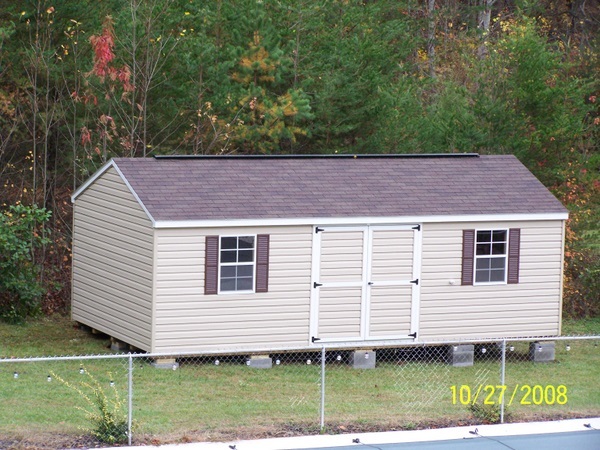 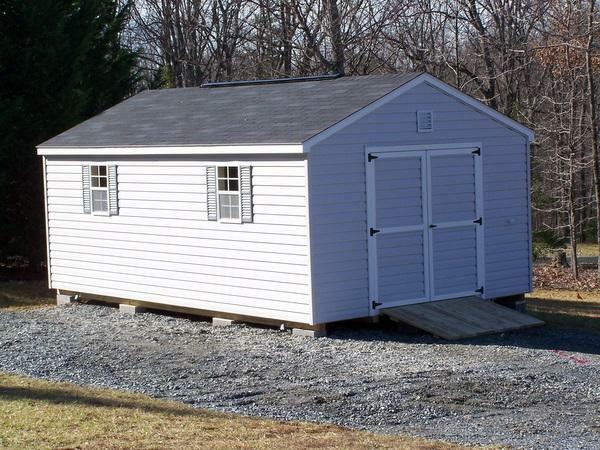 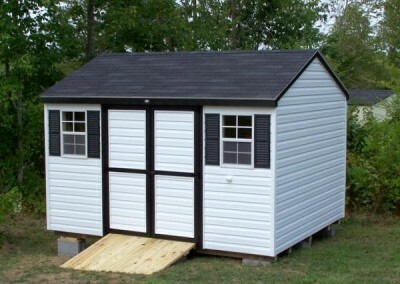 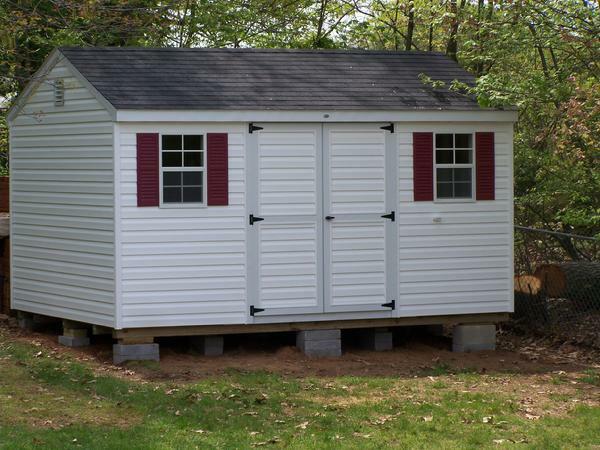 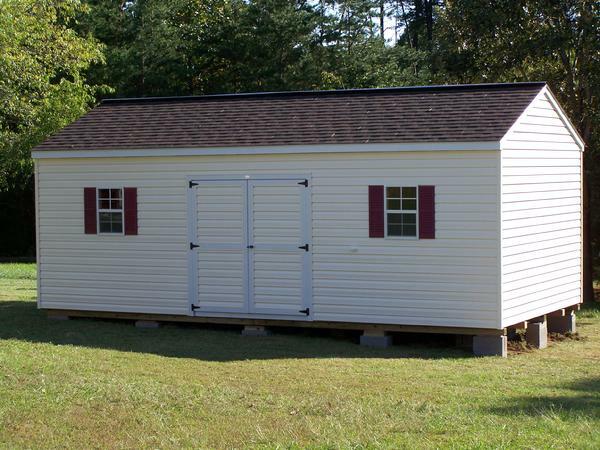 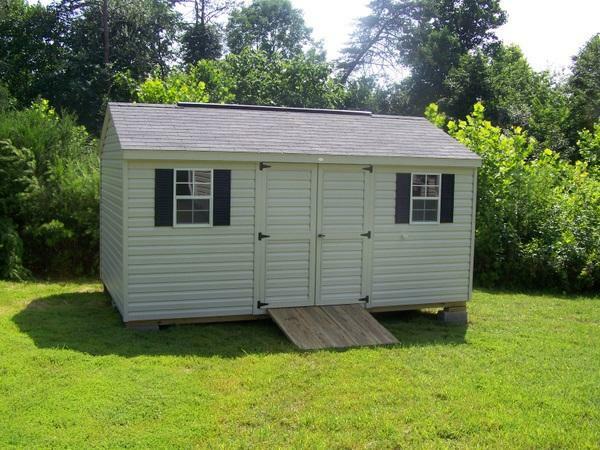 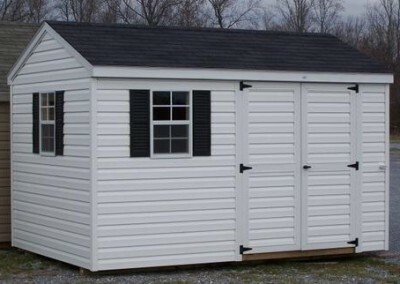 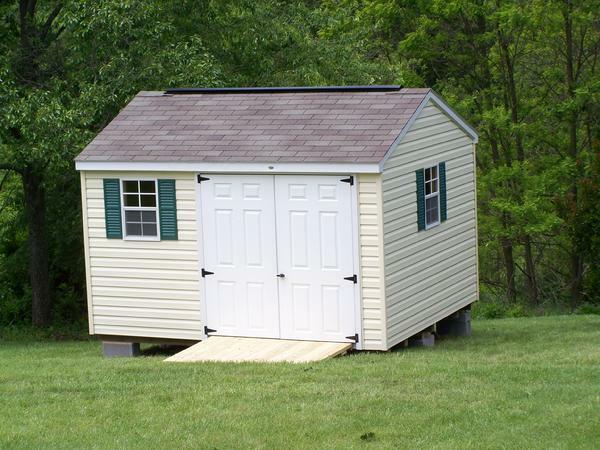 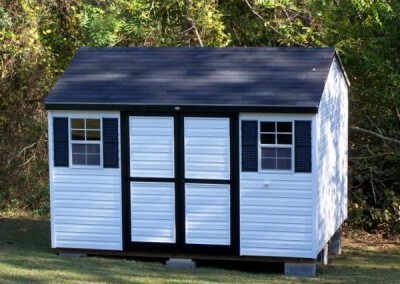 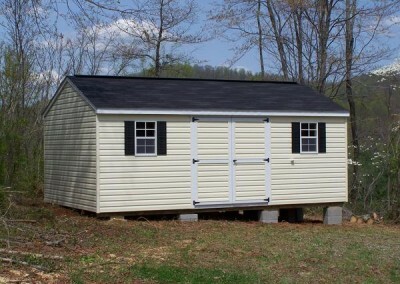 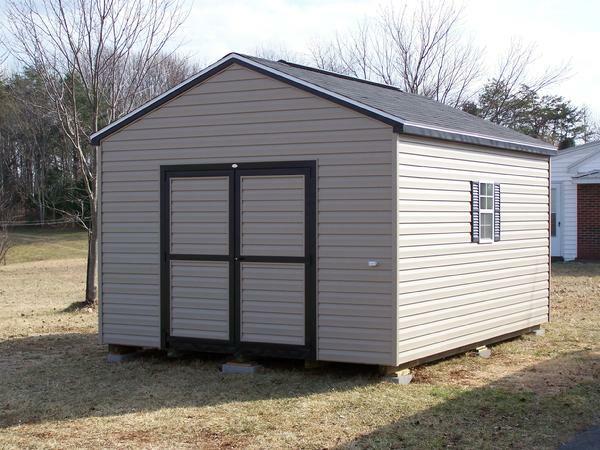 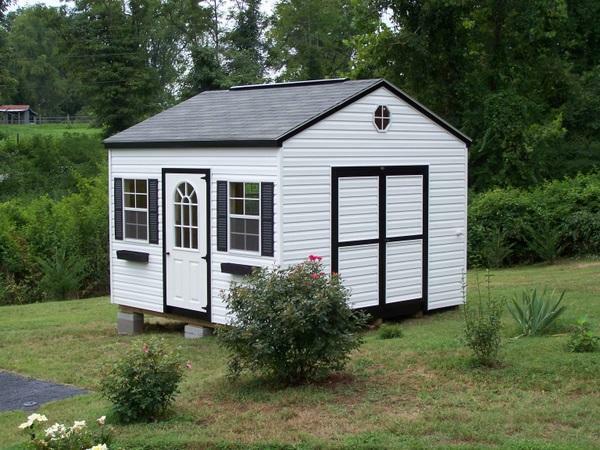 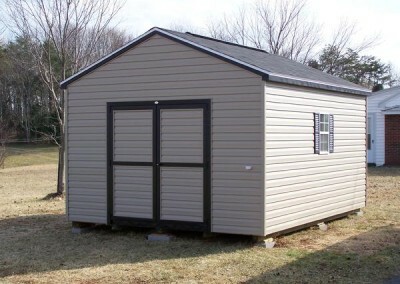 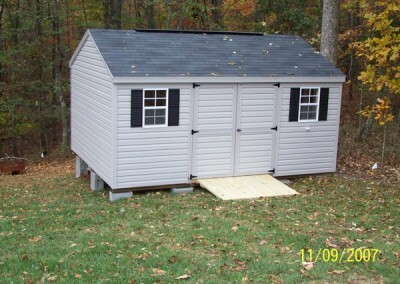 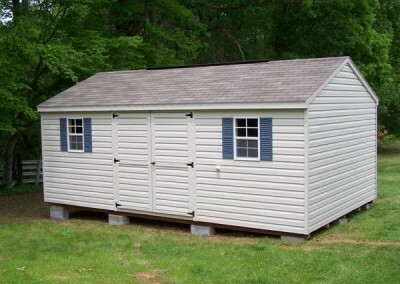 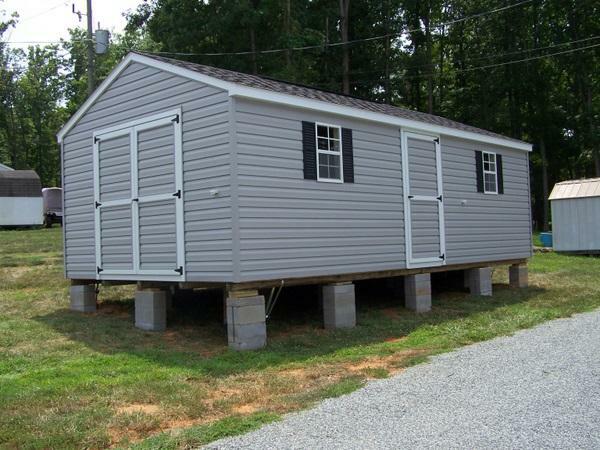 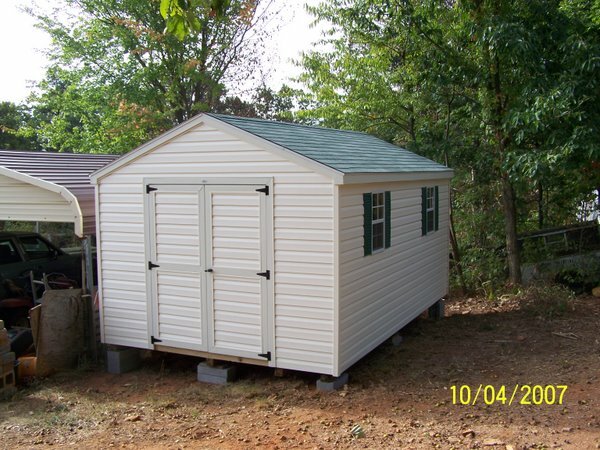 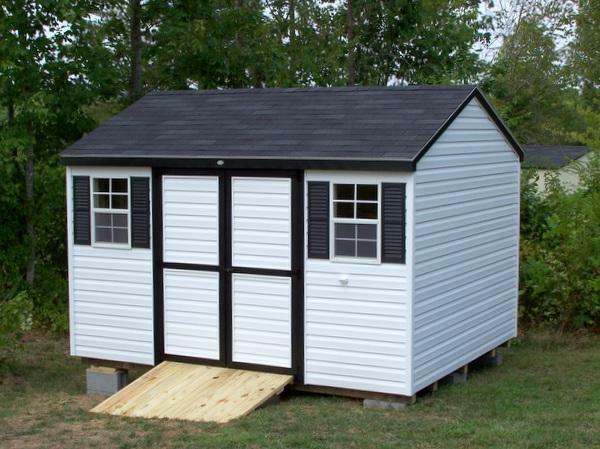 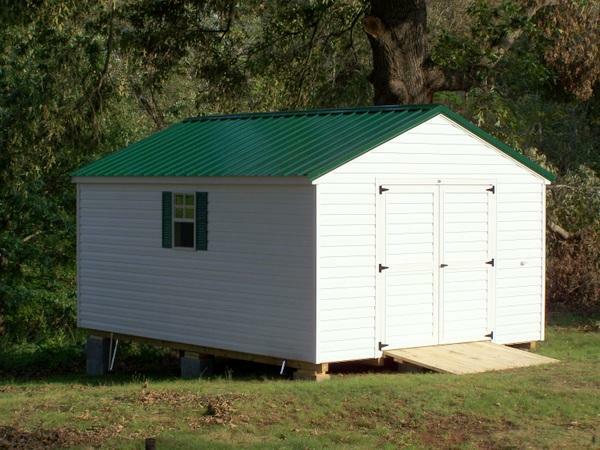 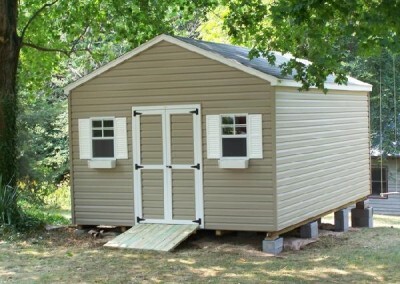 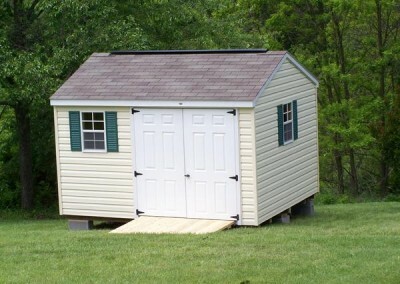 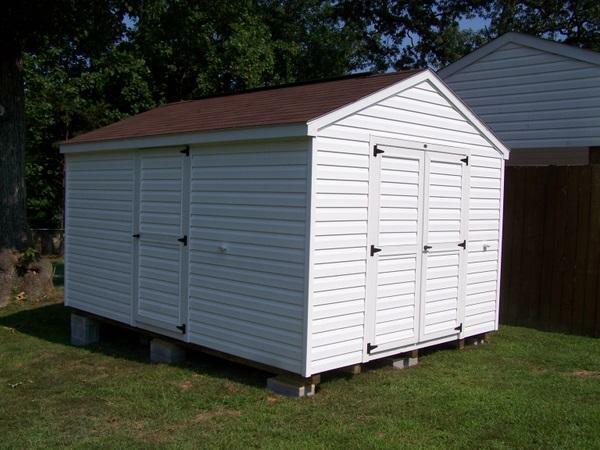 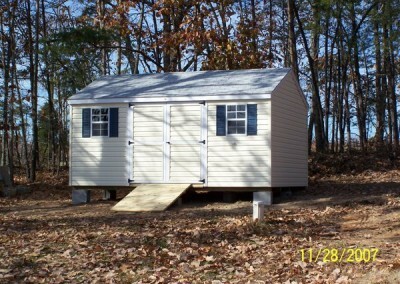 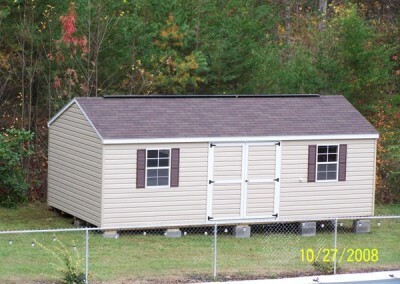 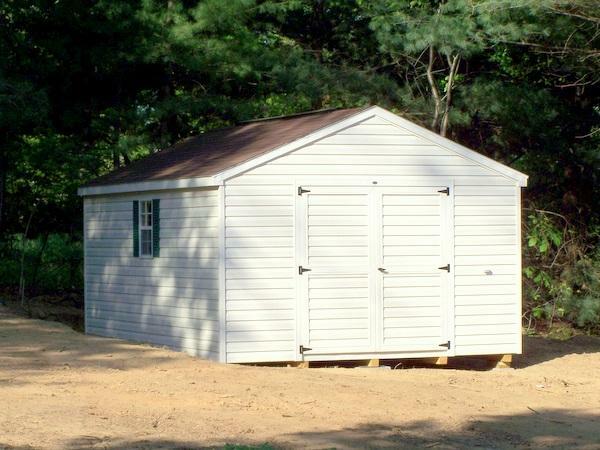 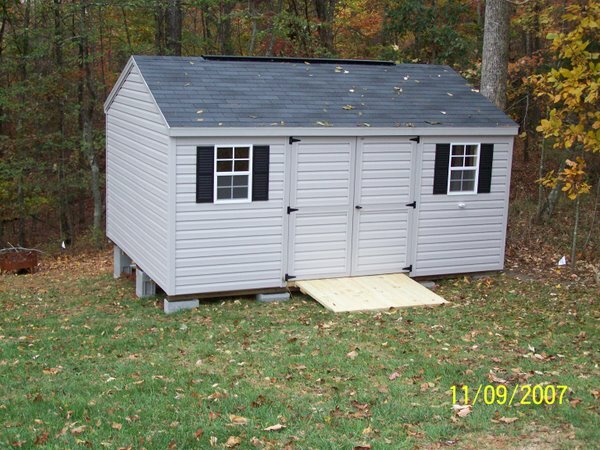 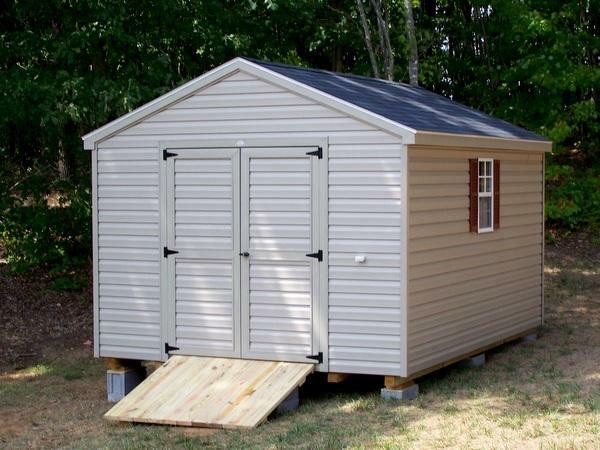 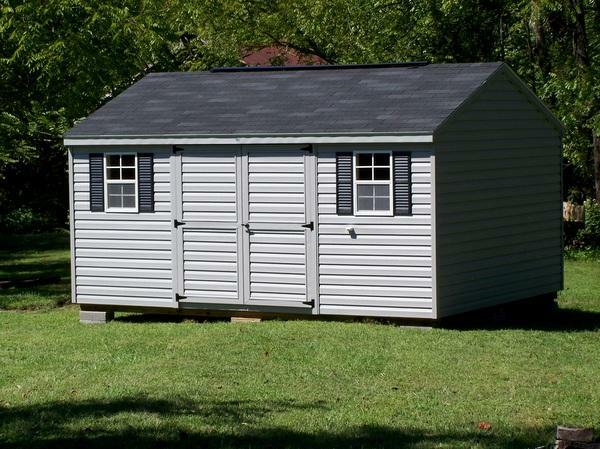 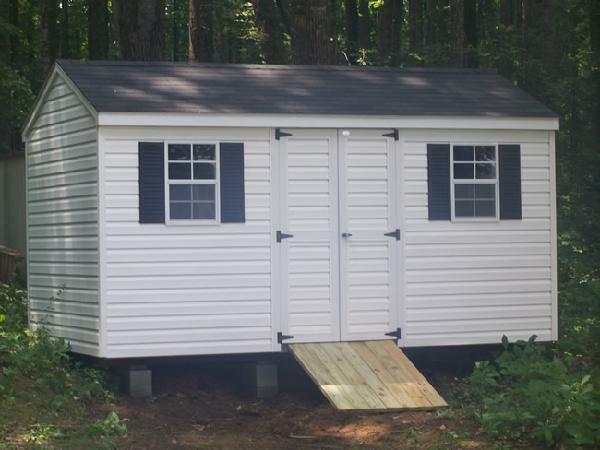 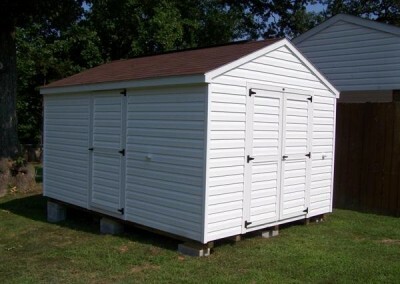 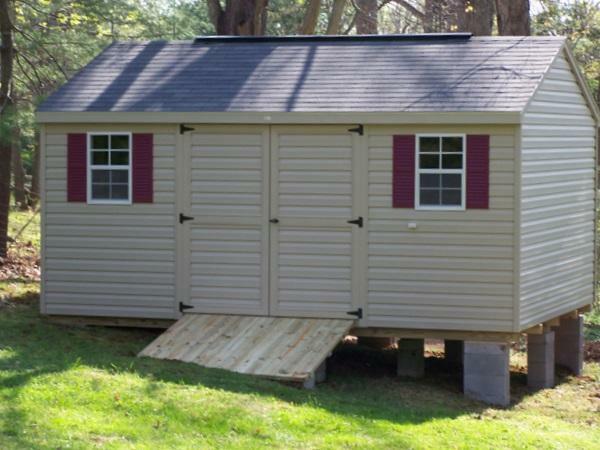 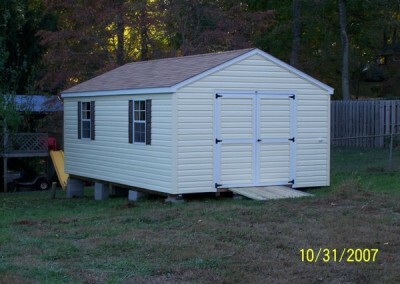 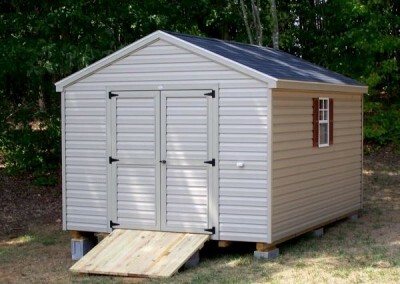 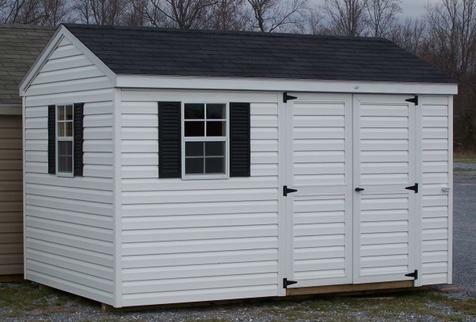 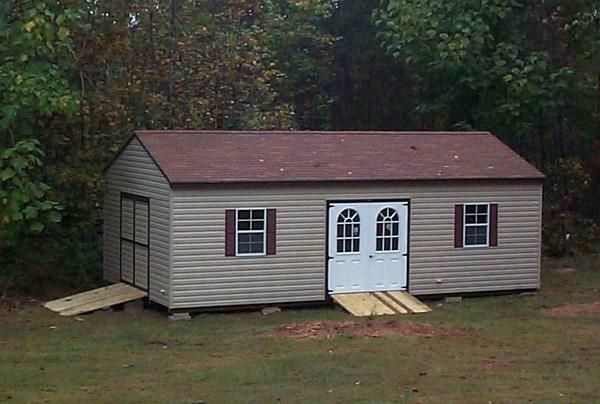 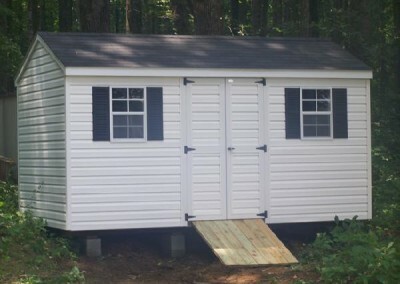 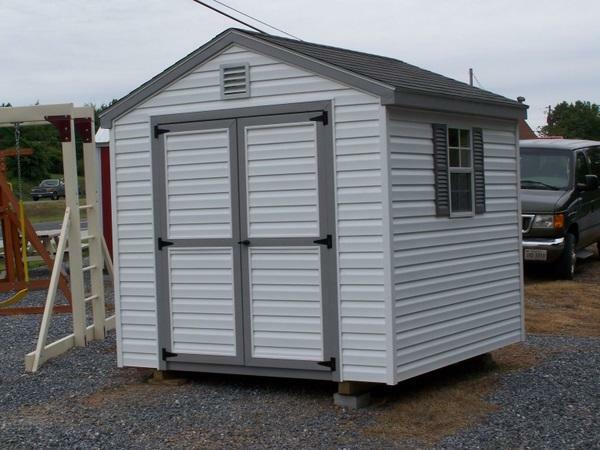 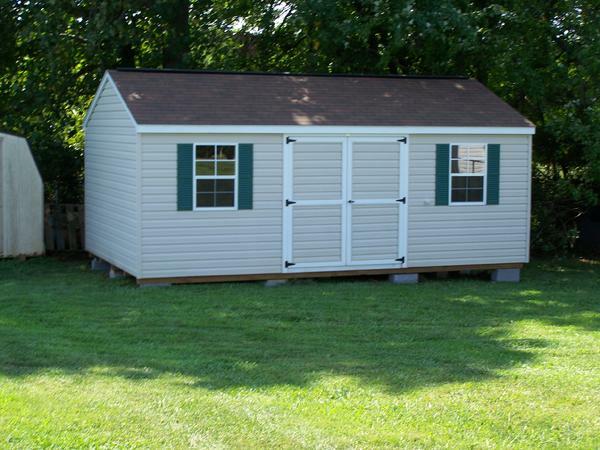 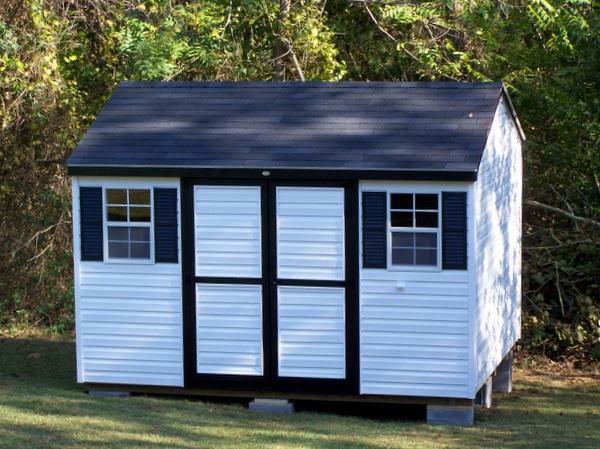 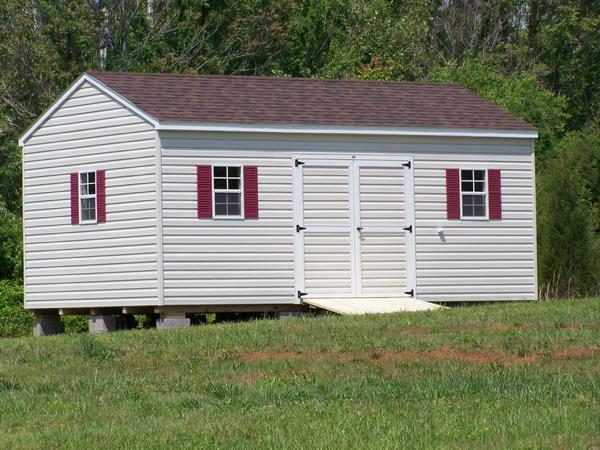 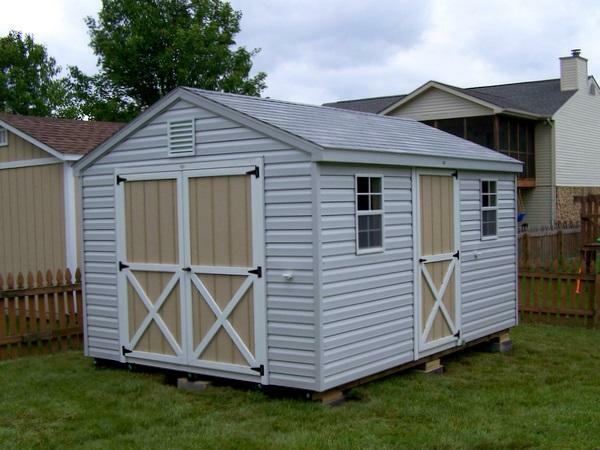 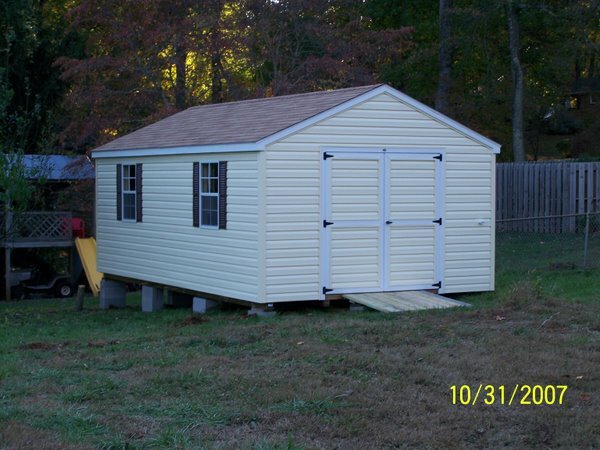 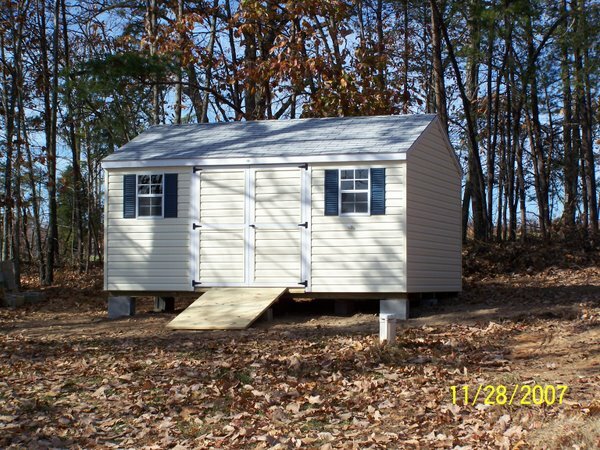 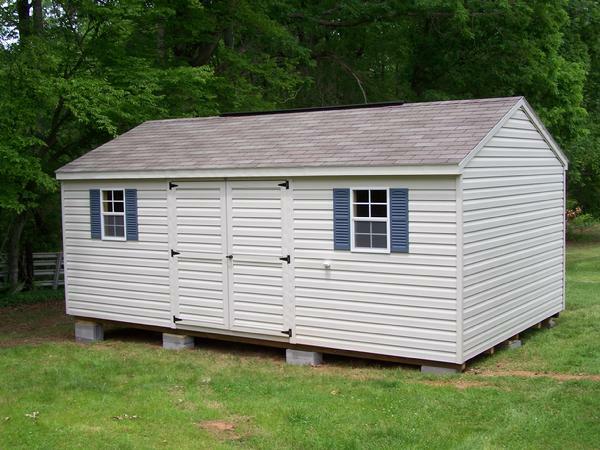 A vinyl 12×12 shed with an a-roof style shingled roof. 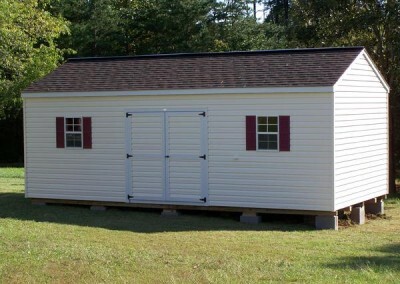 Shed has a solid double vinyl door and two windows with maroon shutters.